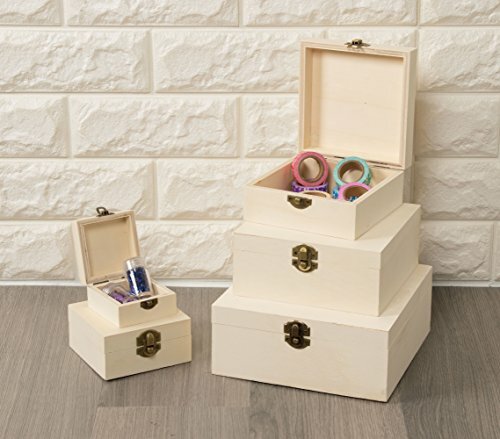 CRAFTY STORAGE SOLUTION: Wood boxes are the ideal, attractive home and craft storage. 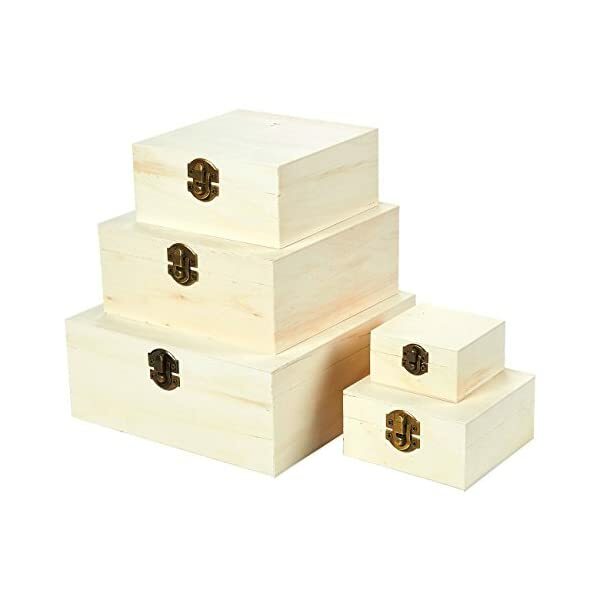 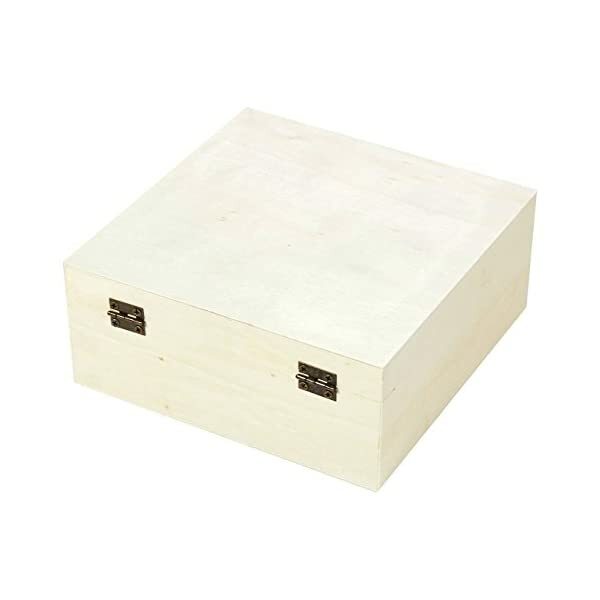 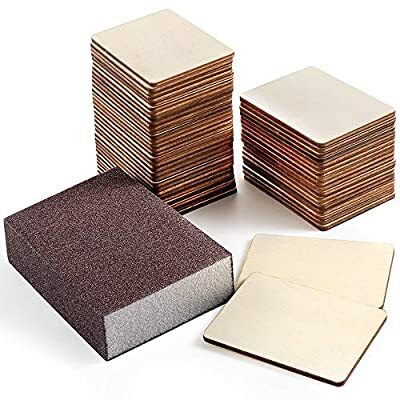 VARIED SIZES: Set of 5 boxes are sized differently to meet your specific organizational needs. 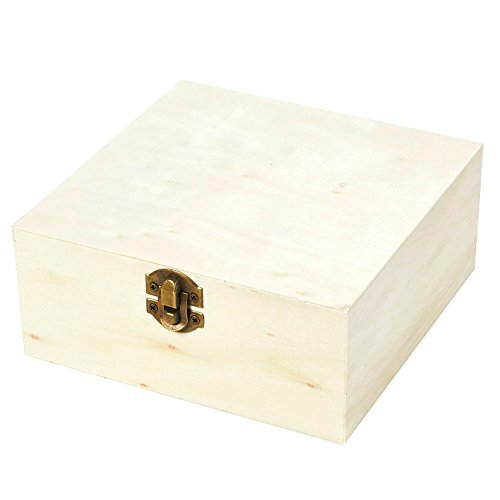 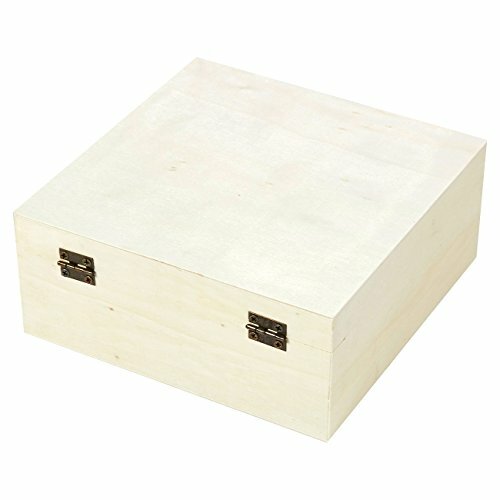 CLASSIC WOOD STYLE: Natural pine wood gives the boxes a unique look. 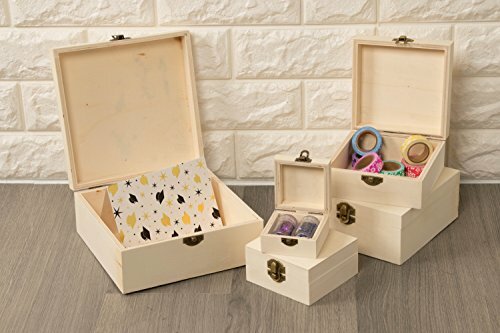 Keep your arts and craft supplies, home goods, office essentials and odds and ends neatly organized and stored with these attractive storage boxes. 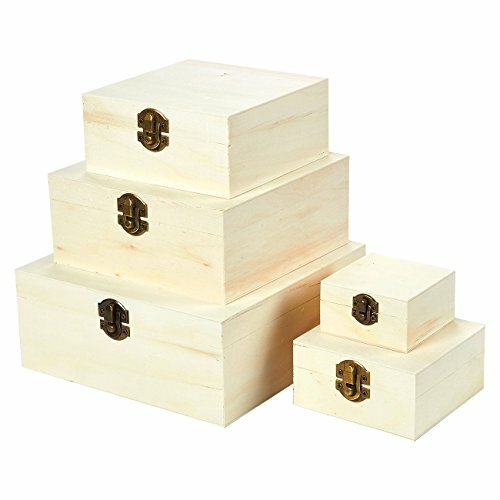 Each box is a different size, providing you with a variety of options to perfectly hold your items. 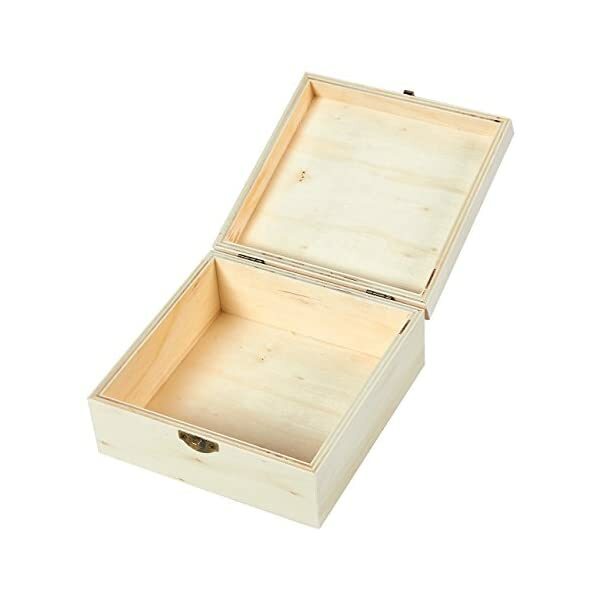 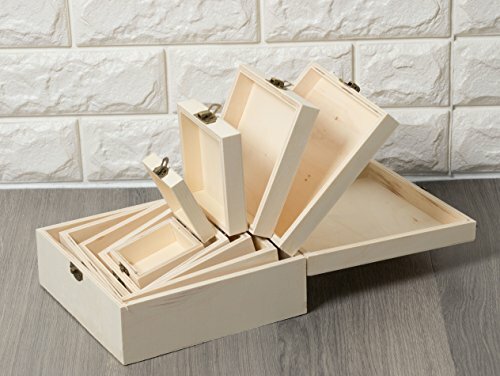 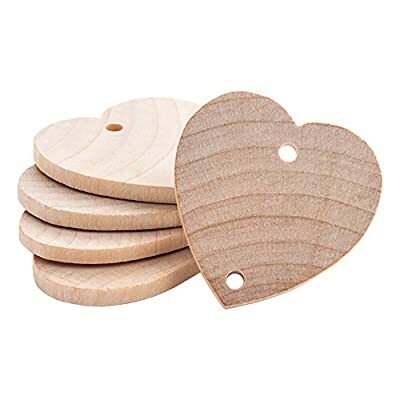 Made of pine wood with a natural finish, these boxes are not only functional but also an attractive way to store items on their own, on a desk or on shelves. 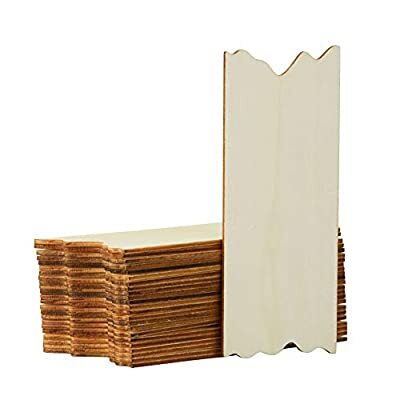 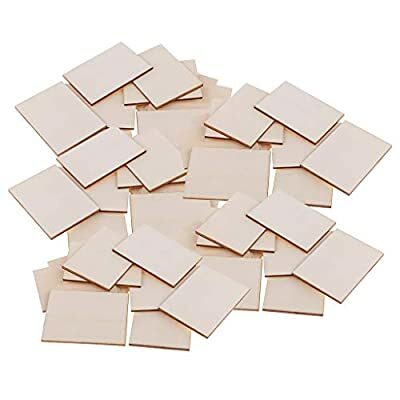 Store recipe cards, greeting cards, craft kits, books and more – these boxes are even ideal for storing souvenirs from travel. 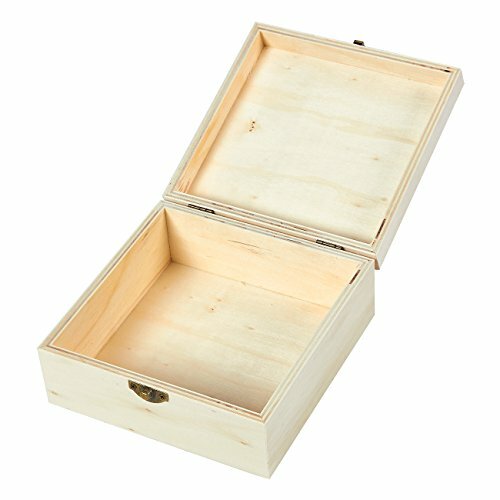 STORE ANYWHERE: Keep craft supplies or home accessories on the floor, on shelves, or in cabinets. 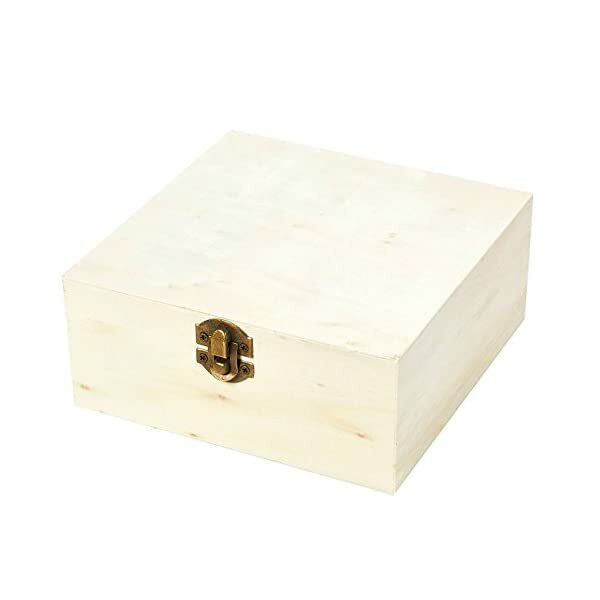 When not in use, these wooden boxes can be nested in each other to save space.